Very knowledgeable. Told me everything I need to know. It was good but the waiting time was horrible! Remi M. Ajiboye M.D. is a Spine specialist who is fellowship-trained in surgical and non-surgical management of spine conditions. He has advanced sub-specialty training in minimally-invasive spine surgery and spinal reconstruction for scoliosis and complex conditions involving the cervical, thoracic and lumbar spine. He completed his undergraduate studies at UC Berkeley with double majors in Cell Biology and Public Health, followed by medical school at UC San Francisco. He then spent 5 years in Los Angeles completing an Orthopaedic surgery residency at UCLA, where he was appointed as Chief Resident. Following residency, he completed a minimally-invasive spine surgery and spinal reconstruction fellowship training at Stanford University, where he also served as a Clinical Instructor. Dr. Remi has a strong interest in new technology and research on minimally-invasive ways to treat spine conditions. He has written over 40 research papers and book chapters, and presented his work nationally and internationally on spine conditions like sciatica, stenosis, disc herniation, spondylolisthesis/instability, myelopathy, radiculopathy, scoliosis and procedures such as micro-decompression, micro-discectomy, artificial disc replacement/arthroplasty and minimally-invasive fusion surgery. He also has a special interest in different ways of decreasing spine-related pain as well as minimizing complications of spinal surgery. 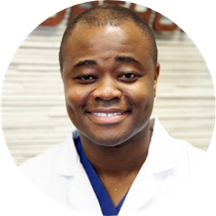 Dr. Remi’s treatment philosophy is to use the least-invasive means possible to help relieve pain and improve a patient’s quality of life. Dr. Ajaboye is very informative and takes the time to explain everything. I like the way he explane the procedure.